Without a solid content distribution strategy, your content won’t reach the audience it should. But how do you know which channels to use? We created this infographic show how the different distribution channels can benefit your content. Once the turkey settles, holiday shopping season officially begins. This infographic, created in partnership with Merchant Warehouse, takes a look at what consumers and retailers can expect during the first few days of the 2014 holiday shopping season. Big Data is the future. With more data being created than ever before, companies have a unique opportunity to leverage this information to beat the competition. 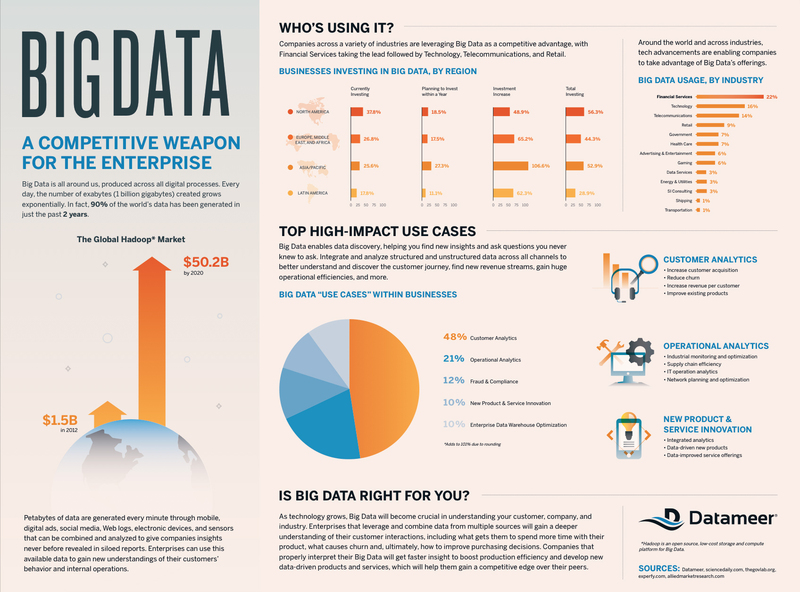 Check out this infographic, created with Datameer, to learn more about the state of Big Data. More and more women are becoming their household’s primary breadwinners and with it comes increased purchasing power. We partnered with Credit Loan to create this infographic, which details how the spending habits of men and women are rapidly changing. The number of mobile devices within the workplace that are used for both business and personal purposes is rapidly expanding, increasing productivity and boosting revenue. But keeping those devices secure is a challenge. This infographic, created with Ping Identity, takes a look at the issue.